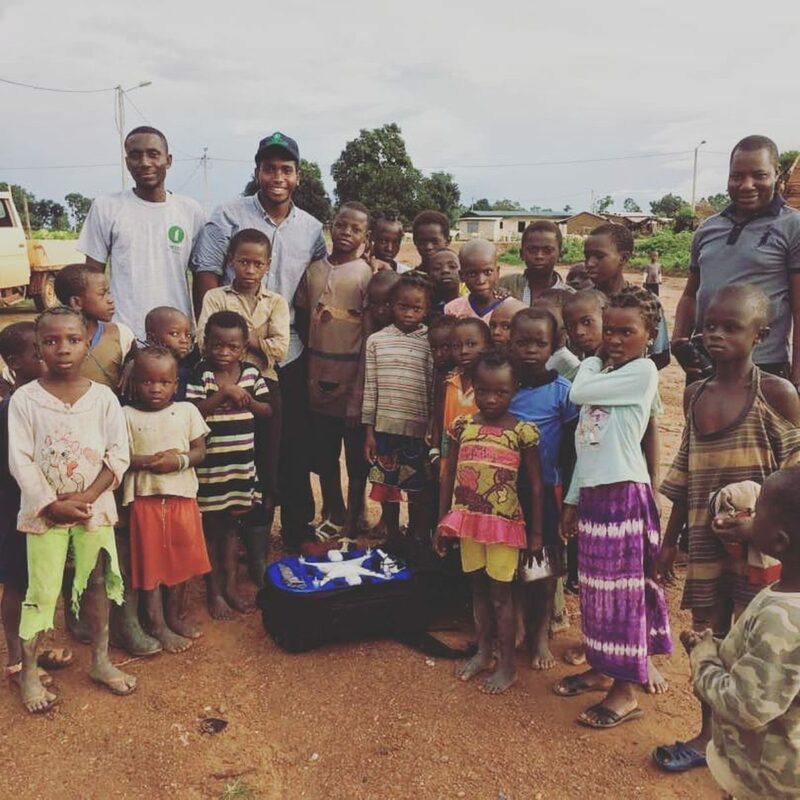 In its mission to empower local communities, Flying Labs has been relentlessly expanding in Africa, with Côte d’Ivoire Flying Labs being the first in the Western area of the continent to inaugurate a further series of announcements. The idea, supported by the Institut National Polytechnique Félix Houphouet-Boigny, Agence Côte d’Ivoire PME, and Confédération Générale des Entreprises de Côte d’Ivoire (CGECI), stems from Aboubacar Karim, founder of Investiv, a rising Ivorian start-up established in 2017 and specialized in precision agriculture. After testing drone technology for several months, Karim’s team, made up by Marianne Coulibaly, Aymard Dion and Jean-Olivier Konan started out officially in May of that year. 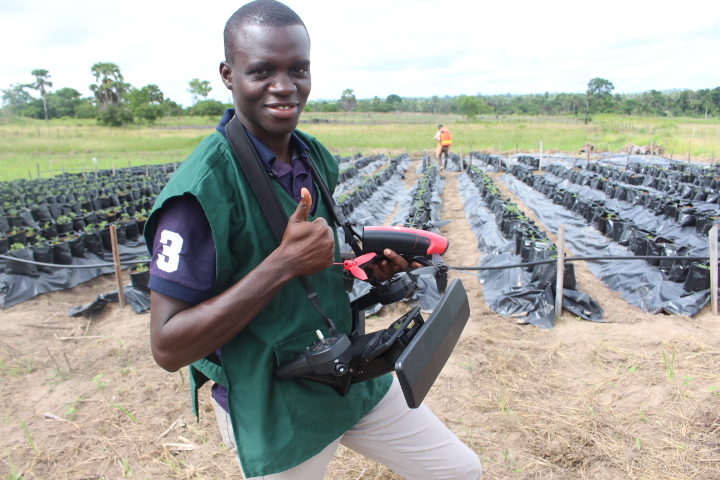 By September, thanks to their strong results and higher purpose of putting technology at the service of Ivorian farmers, they were already being awarded the title of “Best Young Company” by the Ivorian Business Confederation. The team has been working with organizations such as UNESCO, the National Rice Development Office in Côte d’Ivoire, and other NGOs supporting the agricultural sector. Today, their dream is to allow as many farmers as possible to leverage drone technology to concretely help African communities. The presence of a Flying Labs in Côte d’Ivoire focused on agriculture, environment and development will be particularly beneficial for introducing more farmers to emerging technologies applied to drones that support specific activities such as agricultural development plan, mapping, and field diagnostics. While regulations on the use of drones are still being discussed at a national level, basic rules such as not flying near airports or residential areas are being taught to agricultural technicians as part of the Côte d’Ivoire Flying Labs’ aerial mapping trainings, conducted nevertheless in rural areas. The first pilot training carried out by the Labs will target agricultural cooperatives and will be implemented through knowledge sharing events, coaching sessions on the interpretation of drone images, operations related to UAV maintenance and, in a broader view, constructive brainstorming on the future of UAVs in Africa. Join us in welcoming Côte d’Ivoire Flying Labs and wishing them success in their mission to empower more African farmers with emerging technologies.